This unique program takes place 9:00-5:00pm every Wednesday for 4 weeks, making it an ideal program for those who are self-employed, have flexible work hours, stay at home moms and retirees. Keep your weekends free! Yin Yoga targets the connective tissues, such as the ligaments, bones, and even the joints of the body that normally are not exercised very much in a more active style of yoga practice. Yin Yoga generally targets the connective tissues of the hips, pelvis, and lower spine because as we age it is this area that tightens up the most. 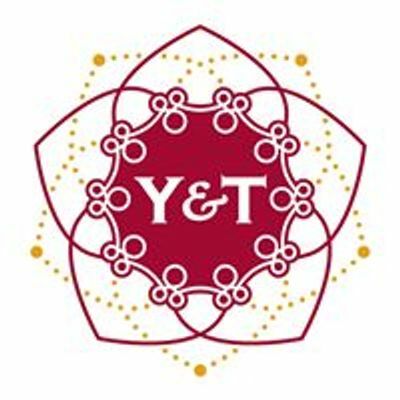 In this program you will learn the fundamental purpose of Yin yoga, how to perform and teach the foundational Yin poses, how to modify or go deeper, the overlay of Chinese meridian theory, how to sequence these poses for an effective practice, and how to layer the practice with intent, observation and meditation. Includes plant-based whole foods lunch with recipes with explanation of how to prepare and eat healthy, delicious food that also supports the health of your connective tissue! -Enjoy a low student to teacher ratio that will promote more individual attention and personal development. Only 10 spots available. - Gain knowledge from Navjit Kaur as your lead trainer, with over 10 years of experience in health & wellness and training programs. This program is open to anyone interested in deepening their understanding and application of Yin Yoga. For existing yoga teachers, this program will qualify you for 30 Continuing Education Credits (CEU) with Yoga Alliance. Register by the early bird deadline, March 20th and save $50! Includes all manuals, text books, lunch, yoga class pass and discount off merchandise in-store, useful towards props related to Yin yoga.